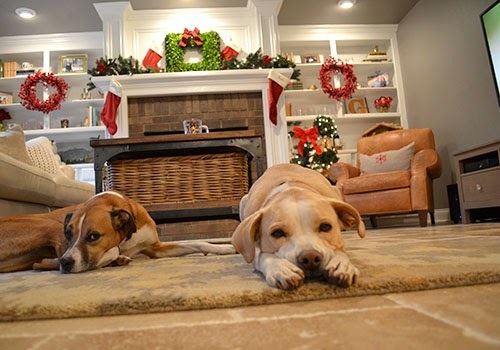 The Happy Homebodies: Goodbye, carpet. 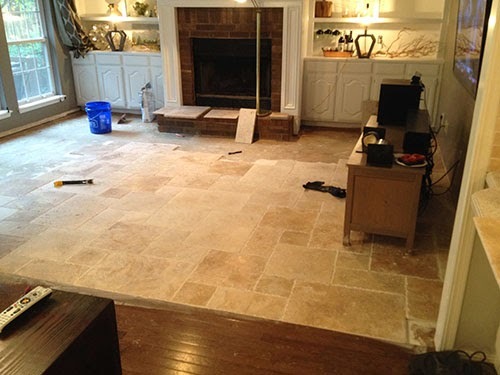 Hello, travertine! We always like to work on house projects during holiday weeks, and this Thanksgiving we circled our den as the room we wanted to improve. Our main point of contention with the room was the carpet we inherited from the previous owners. Dogs and carpet don't mix; trust me, it had to go. When my dad volunteered to help Scott lay down tile the weekend before Thanksgiving, we circled that date on our calendar. Tiling is such hard work, and it's so much better when you have two people working on it. We decided to seize the opportunity to get free labor from my dad, the hardest working guy around! When we were choosing tile, we knew we wanted travertine. 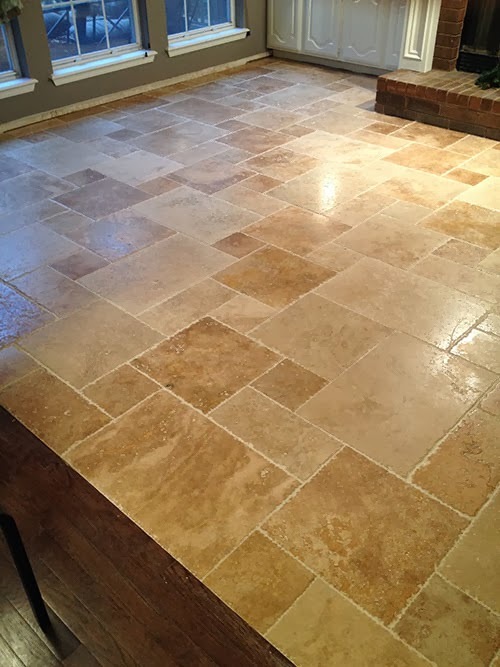 My parents have travertine in their main living areas, and I really like the look. 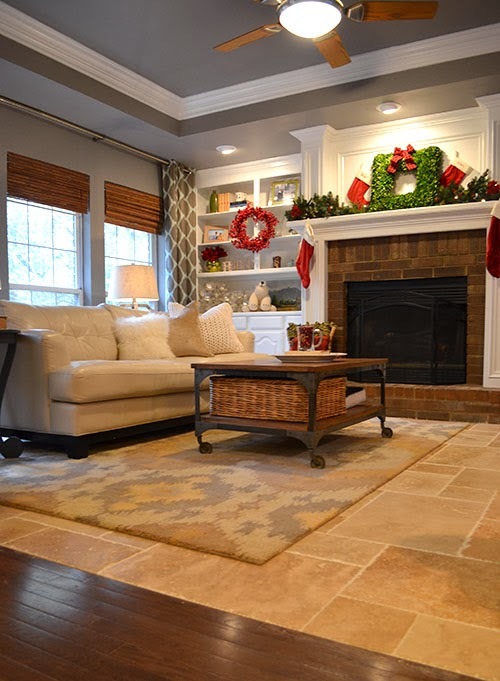 It's a little bit rustic and helps a room feel cozy, unlike some modern, shiny tile that makes a room feel cold. 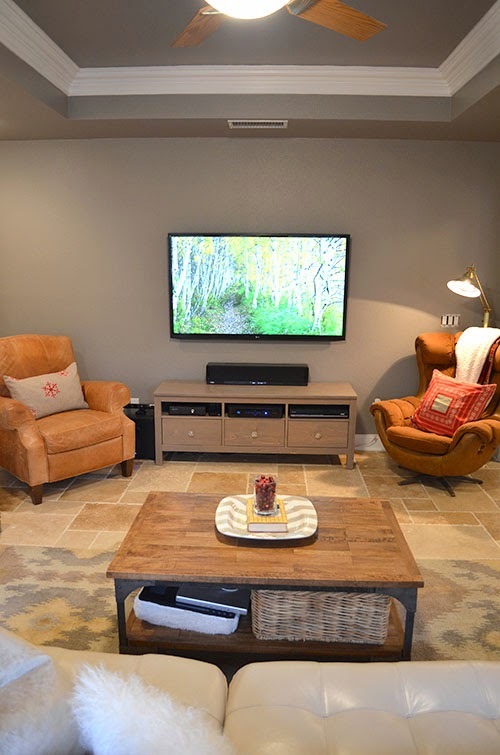 Every decision we've made in the den has revolved around the idea of making it a cozy, comfortable place for us to spend most of our time, so that was our main priority when buying tile. 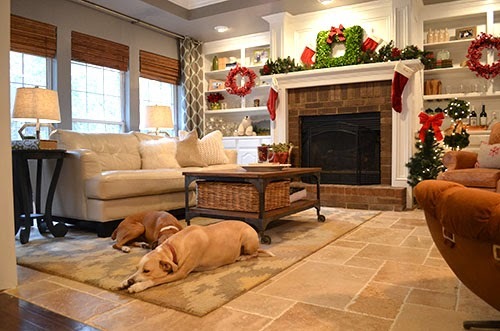 We buy all of our tile at Floor & Decor, so we went there to pick out a travertine that fit our budget. We narrowed it to three options (cheapest, mid-range and more expensive), and we ended up choosing the mid-range option at $2.69/sq ft. We also chose to arrange it in a Versailles pattern, which is a bit more complicated but just looks SO good. I figured my math teacher husband could keep track of the pattern, and I was right. Before I get into the nitty gritty details, let's check out the before and after! This is how the den looked the last time I wrote about it on the blog, shortly after we painted the built-ins white and the walls grey. Here's how it looks today! After we bought the tile, it was time to start the prep work. We tore out the carpet and pried up all the tack strips and nails around the perimeter of the room. The crow bar and hammer were my best friend that evening! We also trashed our old baseboards because we wanted to upgrade to a nicer, thicker baseboard while we were replacing the floors. Then we ran over the room with our shop vac, and it was all set for the tiling to begin. Once my dad arrived on Friday night, the men got to work. 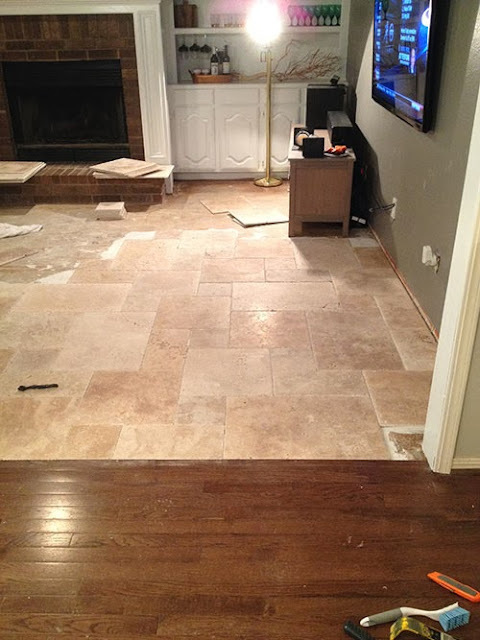 One of the things that made this project easier was that the wood floor and tile ended up being perfectly level, so we didn't need a transition piece. That was a nice break. They decided to start the pattern in the bottom right corner of the room so that the pieces nearest to the wood floors wouldn't have to be cut. That ended up working perfectly. They got a lot done that first night and then woke up bright and early to keep the party going on Saturday morning. 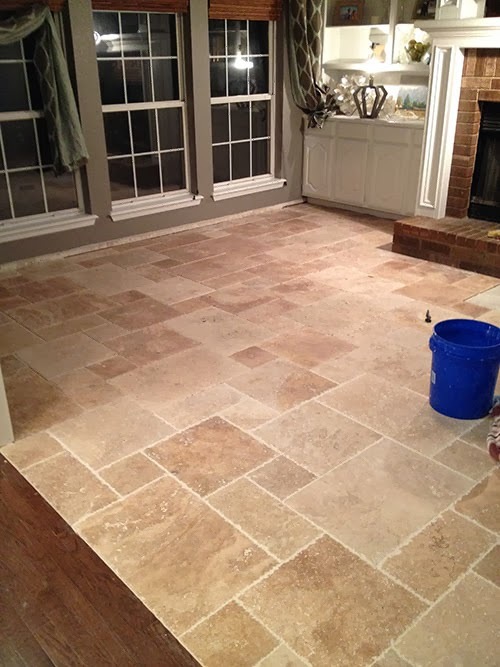 My dad grouted the section that had been finished the night before while Scott continued to lay more tile. They kept plugging away, taking small breaks here and there so they didn't get too tired. My dad is a big advocate of taking small breaks in the middle of big projects because he believes the quality starts to suffer when you get tired. By Saturday night, they were making their final cuts around the fireplace hearth. We went to bed feeling great about how it looked! 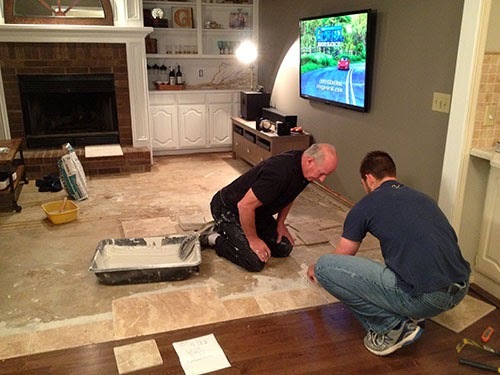 By the time we woke up on Sunday morning, my dad had already gotten up and done the rest of the grouting by himself. I'm telling you, that man never sleeps! 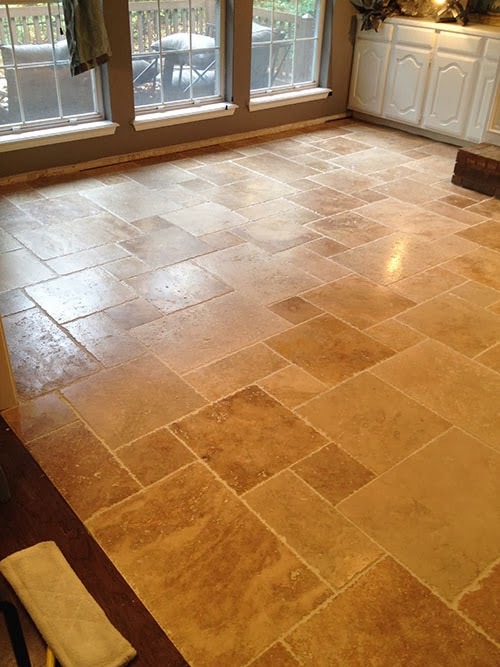 Once the grout was dry, it was time to mop down the floors in preparation for the sealer. It takes several rounds with the mop to remove the film of white dust that covers the tile from the grout. 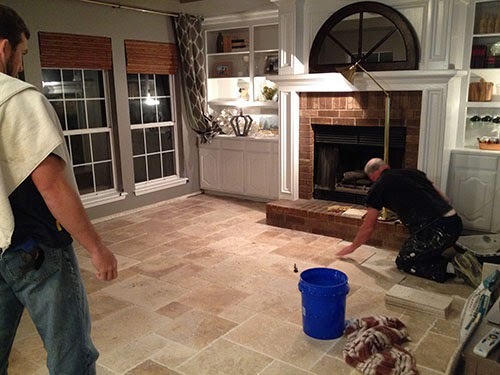 Once the tile was prepped, the husband applied a layer of sealer by hand using a large lambs wool brush. A little goes a long way with that staff, so you have to be careful not to use too much. I didn't want the floors to be very shiny, so I asked him to be very sparing with the sealer. 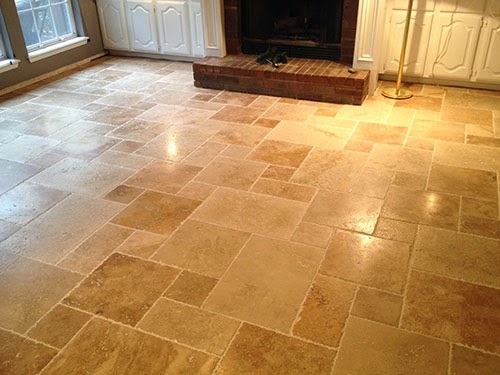 You can't skip this step, however, because travertine is very porous and stains easily. Once the seal coat was dry, he applied a coat of hardener. I think this step is optional, but my parents had both the sealer and hardener left over from their travertine project so we decided to take the extra step to protect our tile job. Once again I didn't want it to be too shiny, so I asked Scott to be very stingy with the hardener coat. 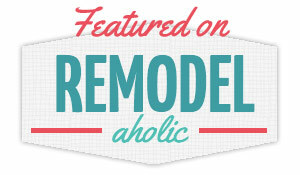 On Monday morning, the husband went to phase two of the project: new baseboards. We bought a builder pack at Home Depot that upgraded our baseboards from only 2.5 inches to 5.25 inches– a big improvement. It ties in nicely with the moulding on our fireplace and in the trey ceiling. 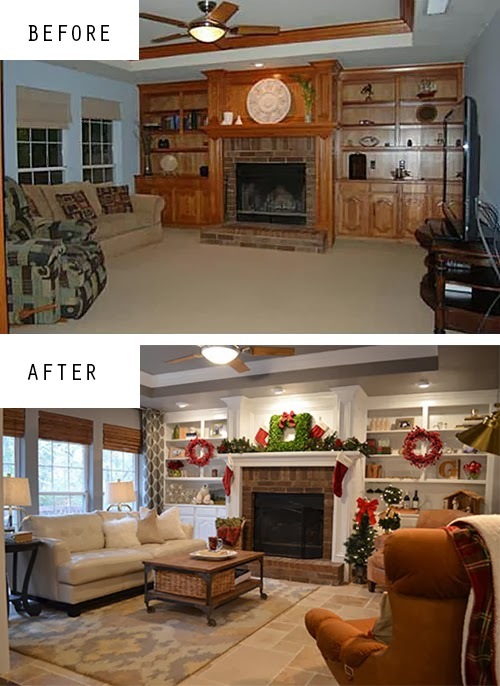 The last improvement to this room was a big one– more lighting! 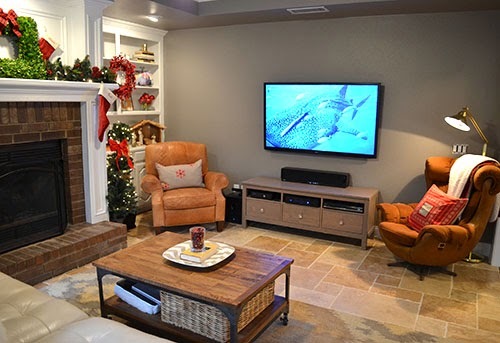 The husband installed new spotlights above each shelving unit around the fireplace so those would be a better focal point in the room.We've been meaning to do this for some time now, and it really makes a huge difference in the room. Those built-ins are such a nice feature in the room, and it really made sense to draw more attention to them with better lighting. Once the carpet was down, we needed a rug. We lucked into a great deal ($100 off) on this beautiful Target rug (Threshold Asilah Area Rug) because it was an online return. I think it's perfect for the room. Good news– the new floors are nugget-approved! 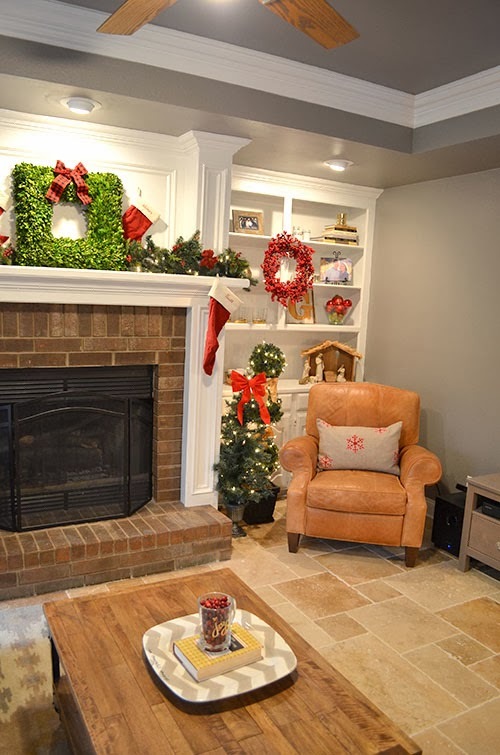 I'll be back soon with a post about our Christmas decorations now that you got a sneak peek! 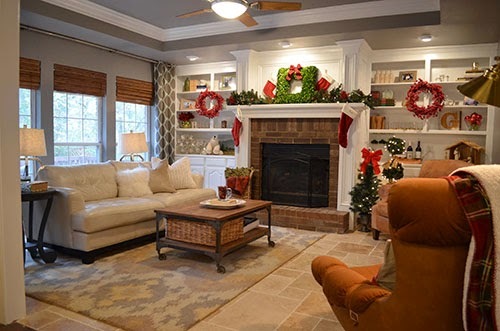 This house has a lot more space to decorate and I've done some different holiday color schemes in my other rooms that I'm excited about!